What are the essentials for romantic glamping retreats on Valentine’s Day? Usually it is the chance to escape from everyday pressures and tasks and spend quality time with your loved one. Throw in a scenic stroll, a candlelit dinner and perhaps some stargazing from your own hot tub after dark and you have the perfect romantic Valentine’s weekend for two! Romantic glamping breaks tick all the boxes – and they won’t break the bank for those on a tight budget. Choose some unique glamping accommodation, follow our suggested tips and your romantic glamping trip is sure to create a lasting memory. Why not make your Valentine’s Day glamping trip a complete surprise for your partner? Just tell them to keep the dates free and be prepared for a surprise. It makes it extra special fun, and you get the pleasure of all the planning and packing to surprise your Valentine! No glamping date night is complete without some bubbly (although it doesn’t have to be alcoholic). Take wine glasses (packed in an inverted paper or plastic cup to protect the rims), a candle (battery operated flameless are safe and very effective) and speakers for soft music. Some savoury snacks to nibble on before dinner, marshmallows to toast and a pack of chocolate hearts for dessert will all add to the special sense of sharing and indulging. Beg, buy or borrow a cosy double sleeping bag so you can snuggle close and stay warm. You may also want to add a large blanket for sitting close together, chatting intimately and sharing your dreams with each other. Glamping for couples makes it easy to disconnect from the rest of the world for 24 hours and focus totally on each other. Make sure you listen as well as talk, or just sit and enjoy the stillness of nature, the starlit sky and the peaceful surroundings. That’s what romantic glamping getaways are all about. Location is all-important when planning a Valentine’s Day glamping break. Choose a place that you both enjoy, or perhaps that has special significance. Whether you want romantic sunsets or remote natural beauty you’ll find plenty of luxury romantic glampsites to choose from on Glampsites. Take your pick from romantic glamping tipis to surprise your Valentine, or romantic glamping pods in an award-winning private woodland at Deer’s Glade in Norfolk. You get everything from a comfy bed and fridge to a wood-burning heater in their romantic bell tent glamping experience. Alternatively, go back to nature in a roomy Mongolian yurt complete with Jacuzzi and wood burner in the scenic Wye Valley. Romantic shepherd’s huts, fully furnished couples’ arks and luxury glamping wagons are a cosy choice for Valentine’s glamping breaks – after all it is mid-February! Most importantly, romantic glamping ensures that comfort is paramount – you even get a king-size bed and a wooden front door at the Woodpecker romantic glamping yurt in the Forest of Dean! 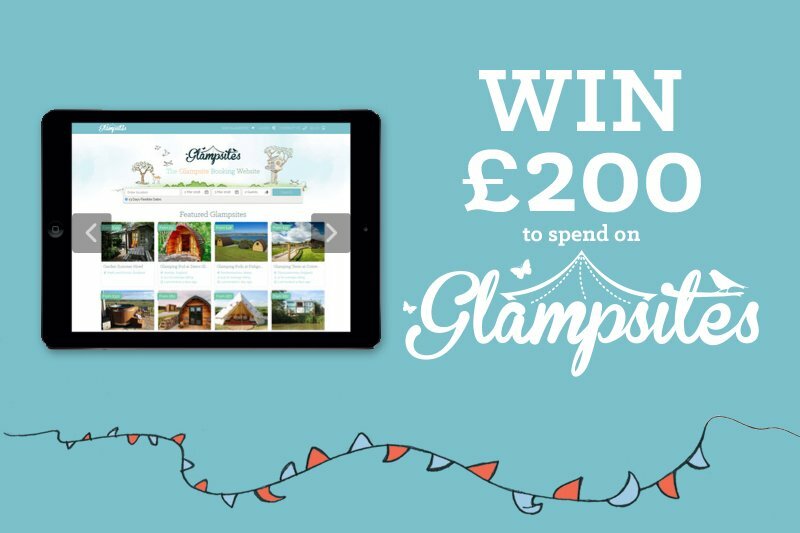 Search, browse and find your perfect ‘glamping for two’ night away on Glampsites.